If you are looking to borrow startup capital from the bank, you need to carefully prepare your loan documents to increase your chances of getting your loan approved. Your documents need to strongly put forward the case that you are a good loan candidate – which means that there is sufficient demand for the business and that you have both the know how and team to make the business work. In short, you need to prove to the bank that you can repay the business loan. Before submitting your loan application, review your credit reports to ensure their accuracy. Fix any errors, and consider postponing your loan application if your credit report is presently weak. Keep in mind the 6Cs of credit. You need to prepare documents that will address these 6Cs of credit. 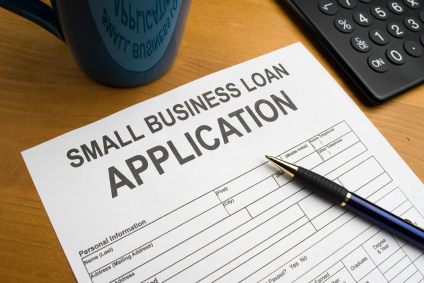 Clearly specify in your loan application four essential information that banks look for when seeking business financing: how much money do you need; how your business will use the money; how you will repay the loan; and what will you do if your business is unable to repay the loan. Keep projections, assets lists, and collateral statements on the conservative side. Check your projections to ensure that they are reasonable and achievable, and that you have the plan on how to achieve your projections. In addition to business financial statements, include your personal financial statements. The rule of thumb is to include the financial statements of the owners with 20% stake in the business. Be prepared to submit tax returns as well for the last 1-3 years (but only if asked for – do not volunteer to give it as it could raise more questions than others). Be sure your statements are neat and legible. Your financial statements should be credible and grounded on reality. Your numbers need to be achievable. Statements should be prepared by your accountant; always review figures for any errors or omissions. Date your statements to coincide with the date of your figures. Remember, your banker cannot make a decision until all of your documentation has been received. To ensure a speedy response, make sure your application is complete. Be prepared to submit other pertinent documentation related to your business such as franchise agreements, articles of incorporation, partnership agreements, lease agreements (or at least the proposal), copies of business licenses and registrations, as well as copies of contracts with third parties. Include cover letter, executive summary, and photographs in your loan application. Emphasize the strong points of your application in your cover letter, such as your ability to repay the loan or available collateral. Use photographs to create your story – e.g. get a picture of the busy street where the business will be located, use photos of your best people at work and explain in the captions how the person can contribute to your business. Include a list of other documentation that may be available upon request, such as research articles and media stories that support your projections. Forward copies to your banker if asked. Whether your loan application is prepared by your accountant, you need to own your numbers and internalize them. You need to be able to explain every number and detail in your loan application. Banks are wary of entrepreneurs who don’t even understand their numbers and what these numbers mean. Take time to learn the basics of financial management before you ask for a loan, so you can appear comfortable and knowledgeable when the bank talks to you.